Okay yes I know homemade butter has been done a million times before now by other people, but I'm quite pleased with myself having finally got round to making butter all by myself......oh and with a little help from my ThermoCook of course. Me - 'Paule, Paule, I've made BUTTER'!! As it turns out he was actually impressed; just shocked since he thought it was a long job and wondered why I'd bothered with such a thing! You can make any amount of butter from as little as 300ml of Double Cream which is what I did since this urge to make butter came upon me and that's all the cream I had in the fridge. 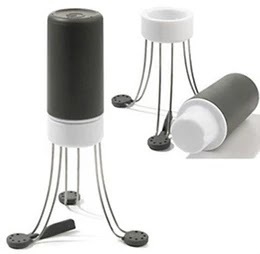 You can use an electric mixer, the principles are the same. But here are the instructions on how to make butter in the ThermoCook by Froothie. TIME 6 minutes - you will need to pause the machine as the actual time depends on the amount and type of cream you are using. Blend until the cream separates (the ThermoCook will move about a bit - this is normal). Pause the machine immediately. Strain the buttermilk into a bowl and remove the butterfly attachment. Press the butter against the side with the spatula and squeeze out as much of the liquid as possible. Add enough ice cold water to cover the butter. Press PAUSE to start and stop the machine. Blend for just 5 seconds. Strain this liquid away squeezing as much liquid out of the butter as you possible can discarding the the cloudy water. Repeat steps 4 and 5 until the water you drain away is clear. 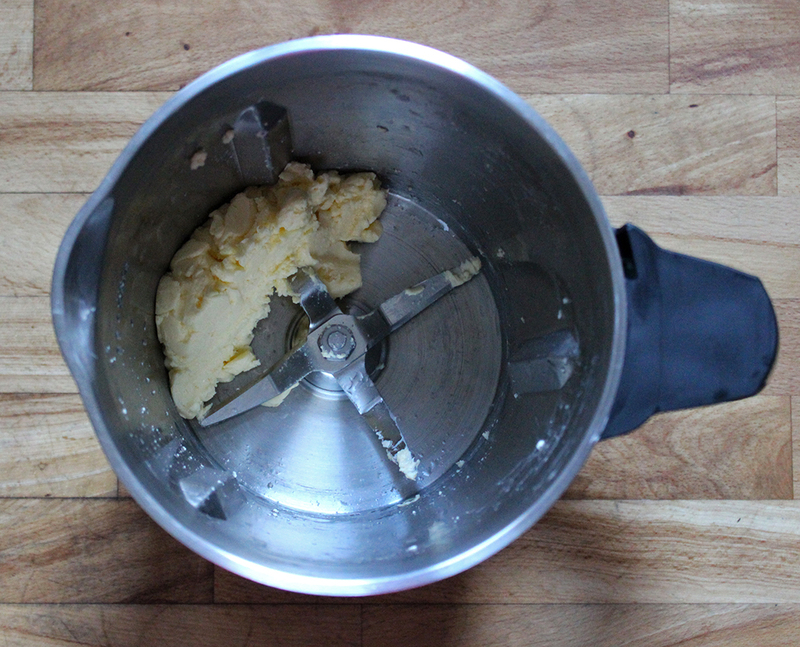 Make sure you have squeezed out as much water as possible; now you have made butter! 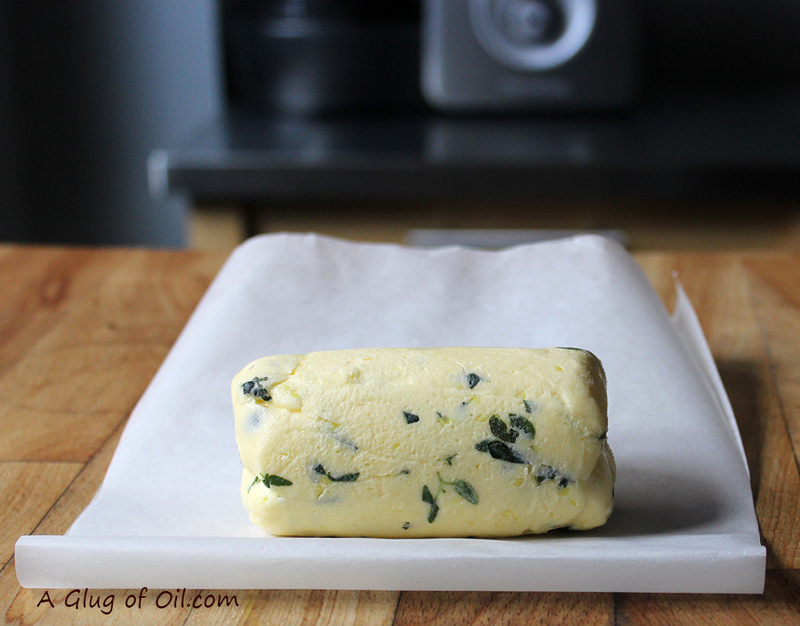 If you want salted butter add a pinch or 2 of sea salt and blend for just 30 seconds. If you prefer spreadable butter you can add about 2 tablespoons of olive oil and blend for just 30 seconds. For 300ml of cream used add the zest of half a lemon and freshly picked thyme leaves along with a good pinch of sea salt. Blend for just 30 seconds. 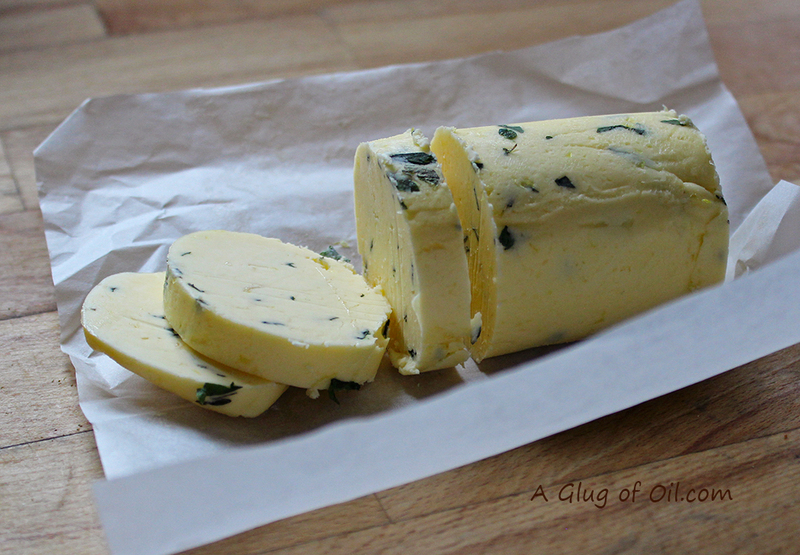 Shape the butter into a log and wrap in grease-proof paper. Store in the fridge and slice when needed. Lemon and thyme butter is fantastic melted over chicken! 300ml of double cream (heavy cream in you're in the US) makes 135g of butter and 100ml of buttermilk. You can use single or double cream but I used double. Apparently as I've read on the net, if you use single cream you end up with a different amount of butter and buttermilk. You don't have to have a ThermoCook in order to make butter but it really is one excellent piece of kitchen equipment that I use almost daily for something or other. As I'm an ambassador for Froothie if you order anything on their site (excluding the Healthy VibroFit) you can get FREE Delivery as long as you add this 'Free Ambassador Delivery 2403' in the comments section of your order; the delivery cost will be credited back to your card. The ThermoCook cuts down on the need for so many other kitchen gadgets such as a slow-cooker, rice cooker, blender, chopper, yogurt maker, steamer, soup maker and lots more. It even kneads bread dough. So since it can do many things besides blending and it certainly makes life easier. Check out my Mini Review of the ThermoCook. Did you know? 300ml of double cream (heavy cream in you're in the US) makes 135g of butter and 100ml of buttermilk. You can use single or double cream but I used double. Apparently as I've read on the net, if you use single cream you end up with a different amount of butter and buttermilk. Buttermilk can of course be used in baking and is a key ingredient in Soda Bread. Disclosure: Froothie UK sent me the Optimum ThermoCook to use and review at home. All opinions are my own. There are affiliate links included in this post which means if you buy the ThermoCook by clicking on one of those links I get paid a small commission (at no extra cost to you) which helps towards the cost of creating recipes on this blog. We made our own flavoured butter for the first time at Christmas and I loved it. Lemon and thyme sounds like it would be amazing too. I love homemade butters, and really liking the flavour combination of lemon and thyme, shall try that when we next have thyme growing well in the garden! 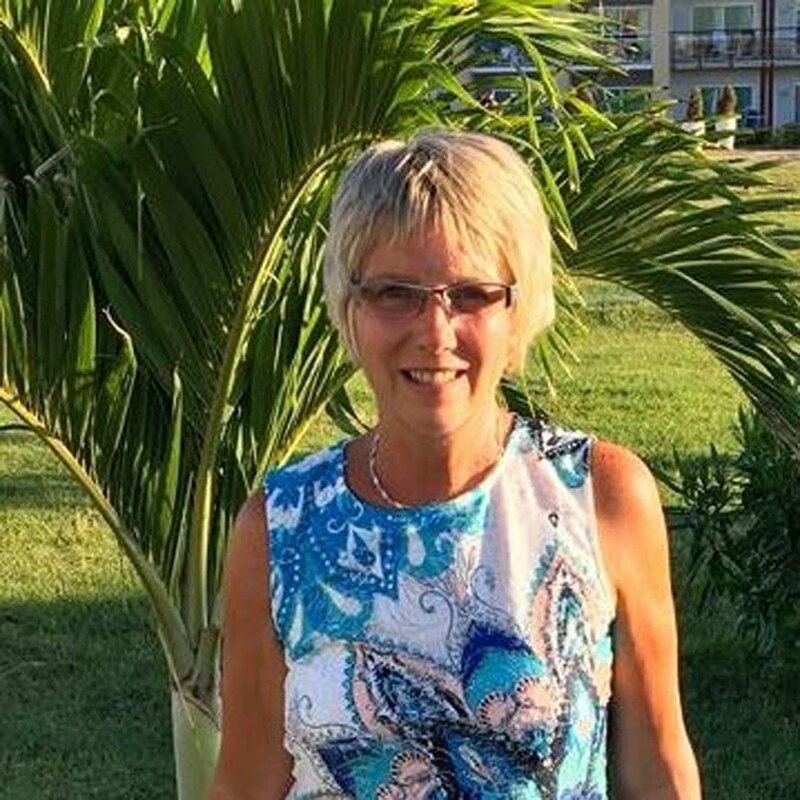 Your excitement at making butter really comes through in this post, Jan. Well done to you. It's something I've never done, even though I live on a farm! The bonus of the buttermilk means you can make some really light scones to spread your butter on. Your butter looks really stunning and I love the flavourings you've used too. When we made it at River Cottage last year, we used the buttermilk to make soda bread, so that was quite fun too. 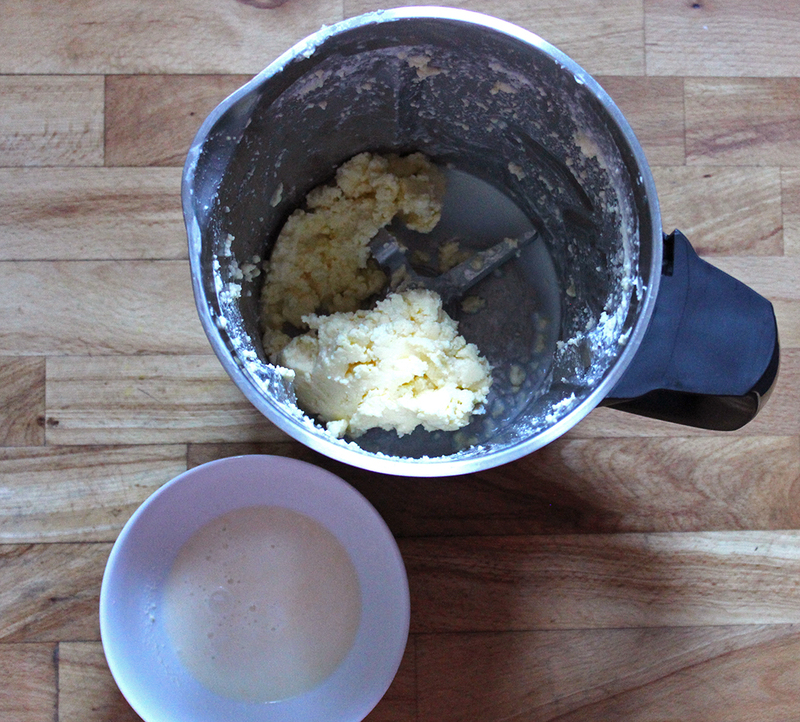 I used to make it at home when a child by shaking the cream in a jar - it took quite a long time. Good old ThermoCook :) Yummed and stumbled.